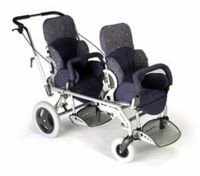 Multi-occupancy buggies (also known as double buggies) are designed to carry either two disabled children, or a disabled child and a non-disabled child. 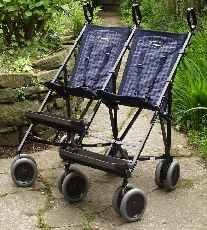 The two buggy seats can be arranged either side by side or one behind the other (tandem). Side-by-side buggies are often too wide for doorways and pavements and can be awkward to manoeuvre and steer. They are also larger, heavier and more awkward to fold and lift into a car or onto public transport than single buggies. 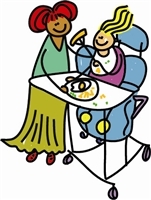 An alternative to a multi-occupancy buggy is to use a specialised single seater buggy with a baby seat attached on the front. REMAP engineers have adapted single supportive buggies by attaching a baby seat to it. 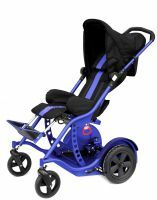 Note however that the wheelchair service will have to give its permission if buggies loaned by them are to be adapted in any way.